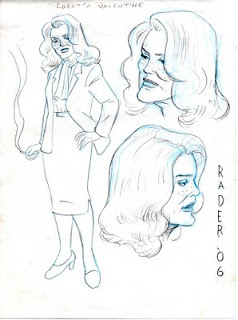 Today's post focuses on Loretta Valentine, Frank's Girl Friend/ Girl Friday. 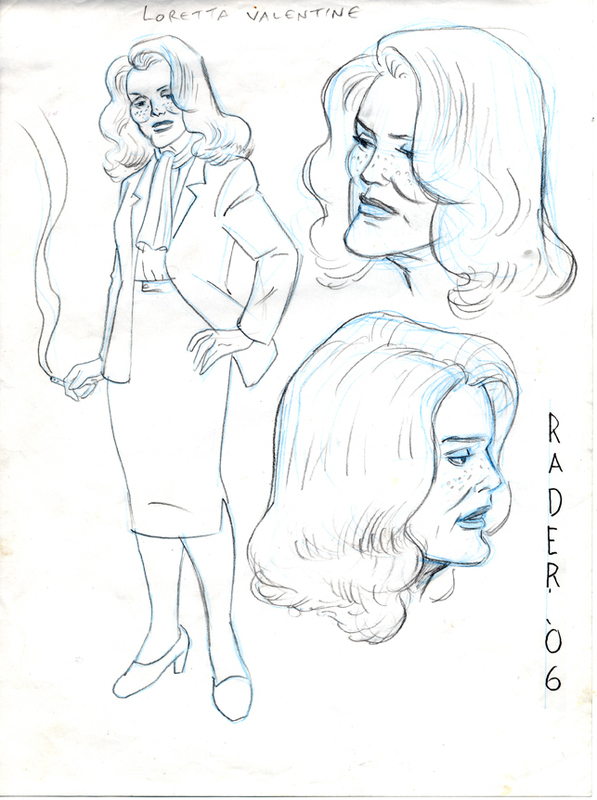 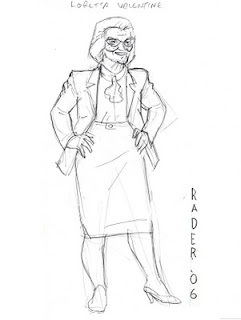 Andersen wanted Loretta based off an actress Eileen Brennan. 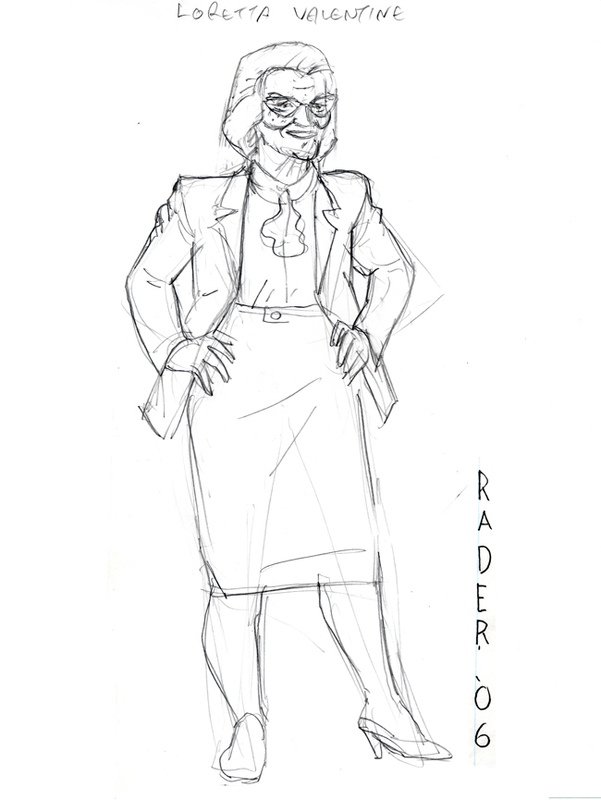 My first pass made her look too middle-aged; Andersen wanted her younger and sexier.